zeiss « efix:photography – News. Thoughts. Pictures. According to Zeiss Rumors, Cosina, the manufacturer of Zeiss and Voigtländer photographic products, has announced discontinuance of the silver Zeiss Ikon M-mount rangefinder. This comes about a year after discontinuance of the Zeiss Ikon SW, the rangefinderless version of the camera intended for use with wide-angle lenses and accessory viewfinders. 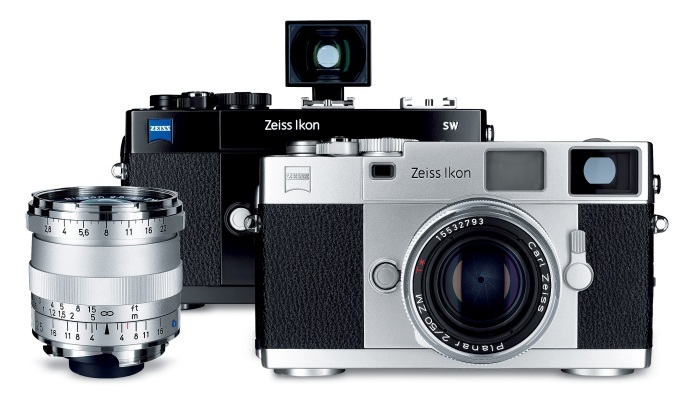 The black version of the Zeiss Ikon, however, is still available. Too bad, as I really prefer the silver finish over the black one — but that’s just personal. I wasn’t going to buy an Ikon anytime soon, anyways. You can still buy the silver Zeiss Ikon from B&H Photo. 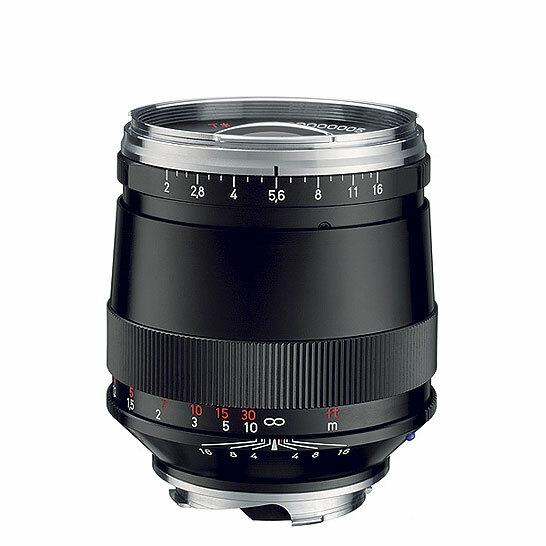 Attention NEX users: Zeiss 24/1.8 IN STOCK! B&H Photo currently have the Zeiss-branded Sony NEX E-mount 24mm f/1.8 Sonnar lenses IN STOCK at a retail price of US-$ 999. If you’re looking for this lens, I suggest you act quick, as these will sell like hot cakes! Read more about this fantastic lens over at Steve Huff’s websit here, here and here. Another round of news and articles, this time a little late as I was pretty knocked out for more than a week sind last week, and have only just really recovered. Noktor is dead! Long live Noktor! Remember Noktor, a couple of chaps, operating from a shed somewhere in the U.S., retrofitting and rebranding Japanese CCTV lenses for Micro Four Thirds? They made quite a stir last year when they announced a 50mm f/0.95 high-speed lens with native m4/3 mount, but it turned out to be low quality and overpriced. Just recently, Noktor announced their death, just to announce their rebirth a couple of days later. As it seems, they have merged with SLR magic. We’ll see what that is going to bring to the Micro Four Thirds world! … and what this means for technical implementation as well as actual photography. If you’re fluent in German, here’s an interesting article on the topic by photoscala. Ever wondered about the magic behind your dad’s old Polaroid? Well, here’s a simple, easy to grasp explanation of how the Polaroid instant pictures work. Simple and effective, yet fascinating nonetheless! Do you want a Fujifilm X100, but don’t have the money to buy one? Well, here’s your chance to get one FOR FREE! Fantastic, isn’t it? Steve Huff has put both the Leica X1 as well as the Fujifilm X100 through their respective paces, and has now taken the additional effort to compare the two in terms of looks, build quality, usability, fun-factor and — chief of all — image quality. 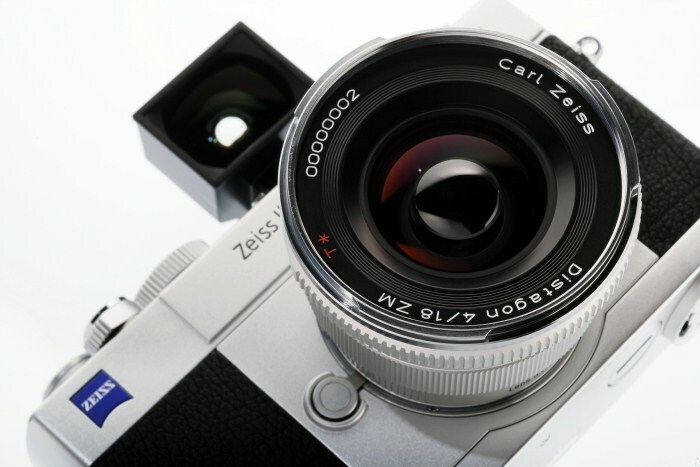 It looks like Carl Zeiss AG have discontinued two items, one of them which probably won’t be missed much, the other which will. The items in question are the Zeiss Ikon SW camera, a rangefinderless version of the Zeiss Ikon M-mount rangefinder, to be used with wide-angle lenses that would require and external viewfinder and need no rangefinder focusing due to their large depth-of-field. photoscala recently reported that the camera was no longer available in Germany, but now it seems it’s also no longer available in the US. It may still be sold in Japan, though. The reason I believe this camera won’t be missed is that you can still get the regular Zeiss Ikon ZM rangefinder camera, which doesn’t cost that much more, and which is equally suited to be used with wide-angle lenses, but also has a parallax-corrected brightline rangefinder viewfinder built in. The other discontinued item is the Sonnar 2/85 ZM, Zeiss’ Leica-mount fast-tele/portrait lens, which has a very good reputation among rangefinder shooters and will probably be dearly missed. Its disappearence was noticed as early as last month, when it suddenly was no longer listed on the official Zeiss website. There has been no official announcement from Zeiss so far, but rumor has it that the lens is actually no longer produced. The 2/85 was one of the two lenses manufactured by Carl Zeiss AG in Germany, the other being the 2.8/15 Distagon. It is possible that due to the high retail price and manufacturing costs for this lens, it was no longer profitable for Zeiss. I just had a look at the lens schematics of the Leica 50mm Summicron-M and the Zeiss Planar 50 ZM, just out of curiousity. They’re remarkably similar. 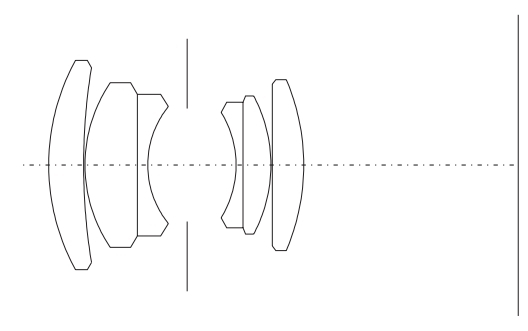 Now, I’m not a lens expert, but I find it striking how close the two lenses are in terms of their optical design. But look for yourself. Striking, innit? 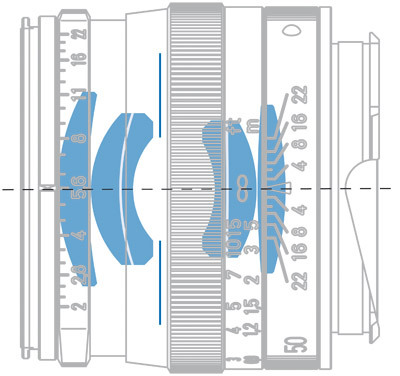 The main difference seems to be in the second group, where the Leica lens has two elements with plane surfaces, whereas the elements in the Zeiss lens are both curved. The rest is almost identical, as are the basic specs: 50mm focal length, f/2 aperture, six elements in four groups. Both made for M mount rangefinders, both purely spherical constructions, designed to deliver high sharpness. If we are to believe what is being said about both lenses, they’re also pretty close in overall performance.